It has been 20 years since Saxophonist’s Gary Thomas and Greg Osby have performed together. On Thomas’ new CD “Pariah’s Pariah, Thomas and Osby echo the same intensity and verve that was a hallmark of their meritorious efforts with the great drummer Jack DeJohnette and his marvelous “Special Edition” band. It is fairly evident that these young master’s have honed individual and uniquely identifiable styles which to a large degree is a high honor considering the Post-Bop resurgence of today’s sometimes mediocre and derivative “Young Lion” movement. 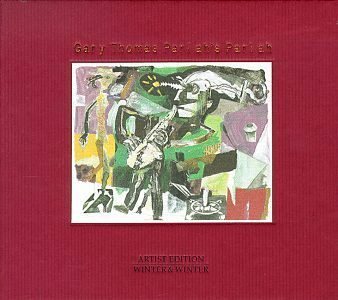 Gary Thomas’ “Pariah’s Pariah” is a tour-de-force and much credit goes to the powerhouse rhythm section of Michael Formanek (b) and John Arnold (d). “Who’s In Control?” commences with a thunderous introduction by the Superstar rhythm section of Michael Formanek and John Arnold. After a few choruses Thomas’ muscular “chops of doom” rapid fire attack surfaces. Thomas is a machine gun spitting bullets while Osby follows suit in similar fashion on Alto Sax. Osby tap-dances and darts all over his Alto as the question arises; “Who’s In Control?” Thomas and Osby square off in glowing fashion while the title track “Pariah’s Pariah” finds Bassist Michael Formanek pivoting the rhythm section with cunning aplomb augmented by resplendent and aurally enticing acoustic resonance. Here, Thomas picks up the Flute trading pleasant choruses with Osby as the rhythm section chugs along like a freight train generating an appropriate heavy handed bottom end to the flawless phrasing and execution of Thomas and Osby. “Vanishing Time” features some intuitive cymbal work and slick rimshots by John Arnold who knows when to step up the pace while adding the appropriate rhythmic nuance to the muscular phrasings and brisk thematic developments by this distinguished Sax section. Thomas’ full bodied and hard bop-ish Tenor sound serves as a perfect match for Greg Osby’s light-as-a-feather and fluid Alto licks. “Everything Is Relative” features Thomas and Osby stating choruses as if they were proclamations or edicts supported by thrilling sequences of call and response. “Pariah’s Pariah” is a superb showcase for these two Saxophone giants. These gentlemen along with the astounding rhythm section of Michael Formanek and John Arnold have produced a powerful recording that instills hope and assurance for the future of Modern Jazz. Stefan Winter of Winter & Winter continues his superb track record of producing quality product that is essential listening for the serious Jazz collector/audiophile. “Pariah’s Pariah” hits the high mark and won’t disappoint. Highly Recommended.